Acer Aspire S3-391 13.3 inch Ultrabook Intel Core i5-3317U 1.70 GHz 4 GB 500 GB. Acer Aspire S3 Ultrabook -- Thin. Fast. Portable. Connected. Experience the next revolution in computing with the Acer Aspire S3 Ultrabook. Viewed from any angle, the Aspire S3 is super slender. At its thinnest point, it's just 13 mm (0.51") slim. The 'champagne'-finish Mg-Al design gives the Aspire S3 a sleek look and feel and makes the notebook as light as a feather - at only 1.35 kg - while also protecting the LCD. 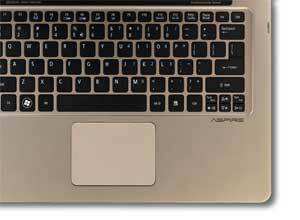 See how all the features of the Aspire S3 fit together. Revolutionary display technology integrates the LCD screen into the 13.3" frame, cutting the bezel thickness by a third. What's more, the LCD is protected by a resilient case design with aluminium cage for maximum protection. The Aspire S3 features an innovative thermal design that keeps you comfortable even when you use the notebook for hours at a time. The airflow design channels air from the keyboard to keep the notebook constantly cool, and directs warm air toward the rear, away from you. Acer Aspire S3 is one of the only Ultrabooks with a hard disk drive (HDD) option***, providing large storage space (500GB). A solid state drive (SSD) enables fast data access, is light and quiet, and features a sturdy design for ultraportable devices. The Aluminium/Mg-Al alloy frame is attractive and light, yet strong enough to protect the screen and components. The Acer Aspire S3 comes equipped with the power of the next generation Intel Core Ivy Bridge ULV (Ultra Low Voltage) processors, giving you the option of a Core i3, Core i5 . Designed to give you multitasking performance with the ultimate in power efficiency, the Intel Core ULV processors enable you to work faster and have more fun, with less waiting. Indicator lights are located on the corner of the S3, so you can know the battery and system status anytime. Strong as steel, light as ABS plastic - the Aluminium/Mg-Al design of the Aspire S3 gives you the best of both worlds. But thin and light does not also mean hot - the innovative thermal efficiency found inside the S3 allows for comfortable extended use. 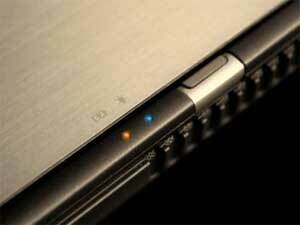 Put the Aspire S3 to sleep, and spring it back to life in just 1.5 seconds from Sleep mode. After 8 hours in Sleep mode, or after the period you set, the notebook enters Deep Sleep, conserving battery life for up to 80 days. * ** Yet, when you return, your Aspire S3 turns right on in 6 seconds, and everything looks exactly as you left it. The S3 is designed for extended use, with a comfortable keyboard and an airflow design that channels hot air away from you. The Aspire S Series remembers your favourite access points (APs) or new places visited, and reconnects to them instantly, so you can get on the Internet in just 2.5 seconds - that's up to four times faster(^ ^^) than notebooks without this technology. This HD webcam with built-in microphone presents clear, lifelike images, and supports video recording and photo capture. 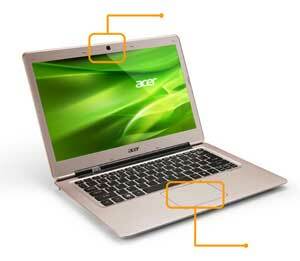 The Acer Crystal Eye webcam has a 1280 x 1024 resolution, and is also able to record 720p videos easily. Surf the Internet and stay in touch with your people with reliable, high-speed connectivity via Ethernet or Wi-Fi. A Wi-Fi CERTIFIED wireless-N network connection enables long-range, fast, reliable wireless Internet. With Acer clear.fi, it's easy to stream and share music, video and more across different devices. Bluetooth 4.0 is the latest standard for quick, short-range wireless file transfers, featuring low-energy technology that significantly reduces power consumption. The next generation of USB connectivity transfers data to and from external devices 10x faster than USB 2.0, taking advantage of capabilities supported by many of the newest devices. Easy to set up, clear.fi takes the complication out of sharing your music, photos and movies between multiple devices. It will automatically detect new devices that have been connected, from PCs to Smartphones, running Windows, Linux, or Android. From there it's easy to search devices for music, photos and videos within the home network, easy to share between devices. 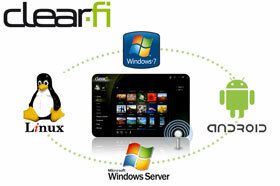 Thanks to clear.fi and the HDMI port your PC can stream and appreciate the multimedia stored on any of the devices that are connected to your home network and clear.fi enabled. Slender but bold, the Aspire S3 sports professionally tuned speakers with Dolby Home Theater v4 for trumpeting cinema-quality sound, while HDMI connectivity is your ticket to high-definition large-screen entertainment.